The writer is a former civil servant. IT seems these days all forms of justice are served via the route of agitation and street fighting — and not having access to such tools means you are doomed. A few years ago, while I was still in government service, I wrote an article in this newspaper titled ‘What price Jinnah’s words?’ as a result of which disciplinary proceedings were initiated against me, the biggest charge being that I tried to embarrass and malign the government through my article. I was told to appear before various disciplinary committees, which I promptly did but I had already made up my mind to resign from service. However, not everyone has the same luxury. Many have already invested so much both in terms of time and opportunity cost that they have reached the point of no return. The ‘power chain’ is just like the food chain. One example is that of Rao Tehsin, former principal information officer of the Information Ministry, who is these days trying to ascertain (without much success) why he was unceremoniously removed from his post after the so-called Dawn leaks. My advice to Mr Tehsin is to ask some batchmate in the Customs and Excise Department to get him a container at a reasonable cost and promptly start a journey via GT Road. Ironically, he has asked the same question that seems to be the most popular one these days. ‘Mera kasoor kya hai?’ (What’s my fault?) . In search of an answer, he has filed a petition in the Islamabad High Court to seek a copy of the inquiry report of the news leak. However, during the hearing, Deputy Attorney General Raja Khalid Mehmood Khan contended that the investigation report related to the news leak was an interim document and, therefore, could not be made public. This is indeed bizarre logic, when one considers the fact that heads have rolled in light of the same ‘interim’ report. Another example is that of Zafar Hijazi, former SECP chairman, a perfect case of being in the wrong place at the wrong time. Why would he go out of his way to allegedly tamper with the record of cases involving ruling politicians? To be honest, he would not have had much of a choice; it was a case of being between the devil and the deep blue sea. When through decades of experience he has learnt that siding with the political bosses is the thing to do, suddenly we expect him to do the exact opposite. Expecting a civil servant to make a choice that would have got him into trouble is asking too much from him: the civil servant is defenceless against powerful politicians. If the allegations are true, he did what almost all civil servants would have done: do as directed, and hope that no one found out, rather than refuse to comply with the powerful and invite their immediate fury. The ‘power chain’ is just like the food chain. Those who lie at the bottom do not have many choices. The species at the bottom of this power chain in Pakistan is the poor masses; I need not elaborate on their ordeal. Just above them are the civil servants, spineless and with no forum to raise their voice. Suspend them, dismiss them, make them scapegoats, they can neither run away nor retaliate in any way. In fact, all they can do is to try and jostle their way up the power hierarchy by developing political affiliations, but when luck runs out even those affiliations come to nothing, in fact can even turn out to be counterproductive. Then come the politicians, powerful yet vulnerable at the same time. The judiciary has moved up a few rungs and falls just below what we call The Establishment, whatever that means. The judiciary and establishment seem to complement each other and enjoy unquestioned authority, which is the envy of even the most popular politicians. Lastly, the story of 70 years of our independence seems to be one of institutional decay. The politicians often ask when judges and generals will be held accountable. The civil servants ask when the politicians will be held accountable, and the public asks when the bureaucrats will be held accountable. Such is the institutional bankruptcy that everyone feels deprived, with the public being utterly neglected. Just as species lying at the bottom of the food chain are there only to serve those at the higher levels, those at the bottom of the power chain in Pakistan fail to get access to justice, healthcare or even proper nutrition. 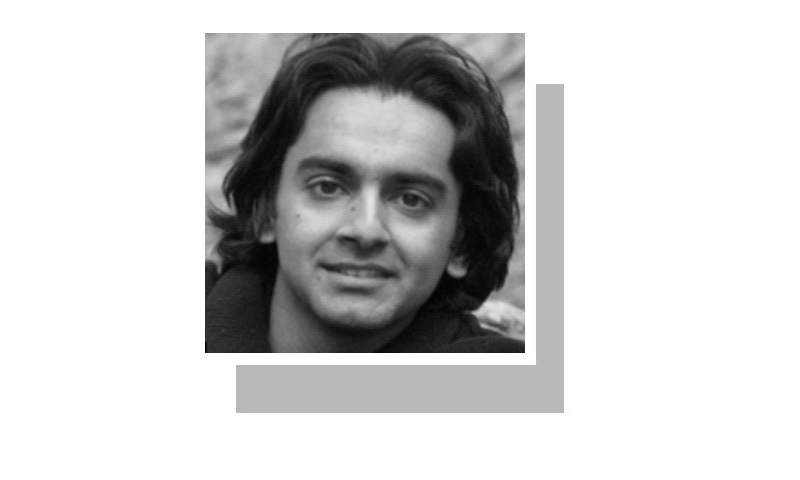 Pakistan seems to be a land quite the opposite of what Jinnah had envisaged. Over the years, we seem to have experienced plutocracy, aristocracy, kleptocracy, idiosyncrasy, ‘securocracy’, theocracy, autocracy and ‘necrocracy’, but sadly democracy has remained elusive. Maybe it’s all in the name. Excellent piece of write up. Thumbs up and thanks Dawn for publishing amazing stuff. Love to read Dawn regularly. Impeccable article, a must read for everyone. Jabardasth writing. Where have u been all these day? Excellent. judiciary has never been independent before justice iftikhar chaudhary rise. even after that, they were very reluctant to pass judgement against politicians. judiciary waited more than four years before passing judgement against pm gilani, but till today judgement against former president zardari is not passed. after extreme pressure from public, judiciary passed judgement against former pm nawaz sharif which is severely challenged by him. i can't find judiciary being more powerful than politicians. your article says bureaucracy and politicians are weak partner of the game, but how do they make assets much more than judges, generals. and if some of them is asked how he made so many assets, then there are allegations pour upon him from everywhere. is this how we make law equivalent for everyone? Indeed we have never ever had democracy! Looks like all roads to democracy now start and end at GT-Road. The problem with Pakistan democracy is the absence of strong civil society and institutions to protect them. Once strong civil societies start forming in Pakistan, democracy will follow and flourish. Until then the political merry-go round instigated by the "invisible hand" will continue. Some section of Pakistan, for their own survival, does not want strong civil societies to form looking at the frequency of threats to lives of journalists, human rights lawyers, NGOs etc. Bad politics is just a symptom of weak civil society. Wonderful, hats off. Just googled and searched for ‘What price Jinnah’s word?’, that was a great read too and the removal of comments there says it all. When the mirror to the society and the truth is muzzled with all the might of the state, this is the governance that we get. Enough said. "... the story of 70 years of our independence seems to be one of institutional decay. The politicians often ask when judges and generals will be held accountable. The civil servants ask when the politicians will be held accountable, and the public asks when the bureaucrats will be held accountable. Such is the institutional bankruptcy that everyone feels deprived, with the public being utterly neglected". Great read ...... loved the way you ended it.